Whenever I receive an invitation in the mail now that the world as I knew it came to a screeching halt, I cringe. There is an odd relief that others continue to include me on their guest list followed by panic. Immediately upon opening the envelope I begin going over my new check list of whether I am able to attend which rarely conflicts with another commitment on the calendar. First, my mind wanders to will anyone be there whom I have not seen since Devastation Day and who did not acknowledge my daughter’s sudden passing? What if they feel compelled to do so then? Surely, I will burst into tears and need to exit immediately because I do not want to distract from the event itself. Or what if they continue to ignore my tragic loss as if my family is still complete? Even now, almost 29 months later, I occasionally stumble upon those who have not seen me and feel compelled to mention it regardless of the circumstances of where I am or how many others are around us. If I could suggest an alternative way to help us both through this uncomfortable moment, I would much prefer a card or a note afterwards instead of seizing that particular opportunity to extend your condolences. May I also add, depending on who you are, I may secretly be pissed off that you never took the time to do this earlier. I will end this thought here as I shove it off of my radar into my blah blah blah excuses bin. However, there are exceptions which even I honor when your ability to acknowledge has you dealing with your own challenging life. The checklist on how to r.s.v.p. continues when the invitation list would have included Amy. Finding the courage to enter a room without her remains painfully difficult. Sitting among my own family without Amy continues to feel sad. Being in the midst of other complete families is hard for me to watch. Daughters has become daughter for me. Sisters — my children no longer have one of theirs. Am I being overly sensitive or am I forever grieving the excruciating loss of one of my children? As my mind continues to wander and obsess over the invitation, I can’t help but recall the times people have whispered my new identity as the mother who has lost one of her children. I remain self-conscious of that label as if I had broken the law and was out on probation from prison. Quite frankly, in many ways I am doing a life sentence in a weird prison of a parent living with the ramifications of out-of-order death which changes EVERYTHING! I am no longer just Dee, I am now a mother who has lost a child which complicates my ability to accept any invitation easily. It is overwhelming what my mind and heart puts me through as the day approaches. Social gatherings remain awkward and my mind keeps taunting me with all of the what ifs and potential set backs any occasion can hold. In hindsight, there actually have been a few social events where I came home unscathed and managed ok but not often enough to respond easily to the next invitation. My ego reminds me that my presence is not vital to whether any event will sink or sail. Isn’t it more about acknowledging the occasion and more importantly sending a gift? Suddenly, a small relief sets in as the realization that my presence is certainly not necessary and no one will be obsessing over whether I attend or not. They can whisper among themselves that I have lost my child and have not been able to bounce back. 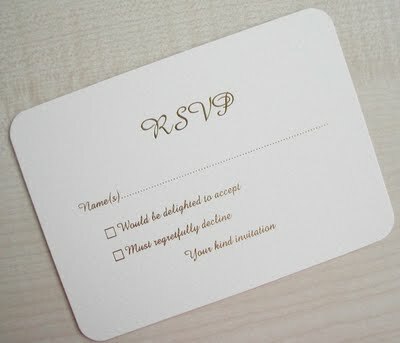 Hopefully some day these invitations will not evoke so much pondering. Of course I realize for now I am over thinking every invitation with a shattered mind and broken heart because my child has died and I do not know how to function easily without her.